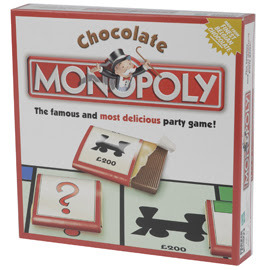 In 1978, Neiman Marcus demonstrated its good taste by offering a $600 full-size chocolate MONOPOLY game in its Christmas catalog. Requests came pouring in from chocolate and game lovers alike. And in 1991, the Franklin Mint issued a collectible MONOPOLY game selling for $550 that included gold and silver pieces.